This is the symbol for Cancer. Visually, it’s easy to pick out the resemblance to the crab. This glyph represents two crab claws, always grabbing for more. Interesting thing about crab claws... they don’t let go easily, and neither does Cancer. Once a Cancerian has clamped on an idea, a goal or belief (whether good or bad) it’s the dickens trying to pry that out of their grasp. I’ll talk more about crab-Cancer connections later in this post. Acanthus: The symbolic meaning of Acanthus deals with immortality (Mediterranean mythology) and healing (Greek). It’s also strongly connected with themes of beauty and vitality. Like this plant, given the right elements and environment, Cancer has the gift of expressing beauty and healing too. The Acanthus is a hardy plant, and tends to survive harsh conditions. It’s also highly adaptable, originating in the Mediterranean but now seen all over the world, including North America. This is a metaphor for Cancer. As a Cancer sun-sign, you might not be fond of trying new things or being in new places. Nonetheless, you show the true grit of the Acanthus by bravely growing in unfamiliar soil. When you set your mind to plant roots in a new direction, you tend to blossom brilliantly. Pearls: It comes as no surprise that this lustrous birthstone is attributed to Cancer. Why? Because the pearl is the product of the water - an element closely linked with Cancer. Pearls are formed from irritants or debris within an oyster shell. This is highly symbolic for Cancerians. Cancer’s don’t like conflict (who does!? ), but when it comes, it brings big opportunity to create beauty. Cancer’s often learn their greatest lessons from the irritants in their lives. A whole, healthy Cancer will typically come out of a challenging ordeal with a renewed sense of self. Indeed, they often come out of murky, emotional waters with a luminescent brilliance. It’s as if the stuff that has irritated them for so long actually makes them better people. We all have the chance to be better people through dealing with difficulty, but this is especially true for Cancers. So embrace those nagging irritants, Cancer, and produce pearls from them! 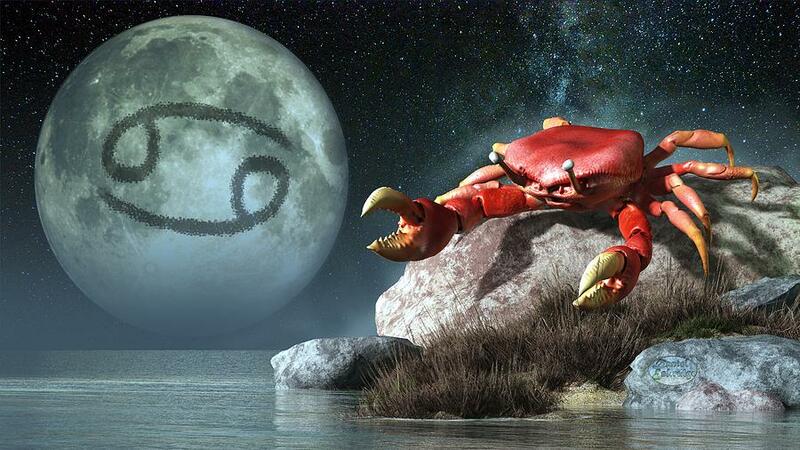 Crab: Crabs are incredibly resourceful, just like Cancerians. They are in touch with the fluid motion of their watery environment - just like Cancer. And just like Cancer, they are ruled by the moon. Crabs are extremely sensitive too. They can detect threat in an instant, and Cancer has this capability too. In a Cancer sun-sign, this hyper-sensitivity to danger might lead to an innate sense of distrust in others. Nevertheless, crabs (and Cancerians) are incredibly curious. Even if there is a potential threat, crabs and Cancers might just dive into a mystery to slake their curiosity.